The lawsuit comes after at least one county has begun sending notices asking certain voters to prove that they are citizens. A Latino civil rights group is suing top Texas officials over what the organization says is an “election-related ‘witch hunt’” designed to intimidate legitimately registered voters by asking them to prove their citizenship. In a lawsuit filed in federal court in San Antonio, lawyers for the League of United Latin American Citizens' national and Texas arms alleged that Texas Secretary of State David Whitley and Attorney General Ken Paxton violated a portion of the federal Voting Rights Act that prohibits the intimidation of voters. The secretary of state's office declined to comment, referring a question to the attorney general's office. 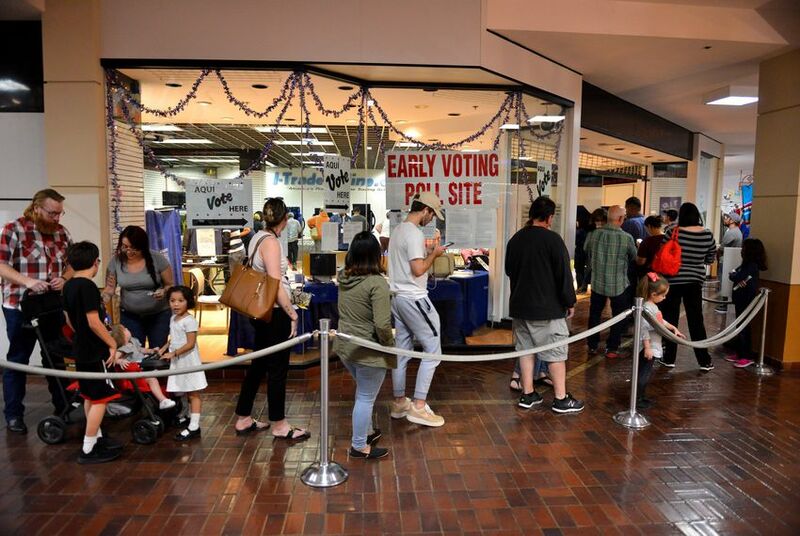 “We look forward to appearing in court to defend Texas’ right to limit the state’s voting registration rolls to those actually eligible to vote,” said Marc Rylander, a spokesman for the attorney general. It’s unclear exactly how many of the individuals flagged by the state are not actually U.S. citizens. On Tuesday, the secretary of state's office quietly informed county officials that some of the voters they had initially flagged shouldn't be on the list. Local officials noted the number mistakenly flagged could be "significant." It’s possible other voters on the list have become naturalized citizens since they obtained their driver’s licenses or ID cards — a point election administrators throughout the state made Monday as they began parsing through the list of voters sent to each county. Legal permanent residents, also known as green card holders, who become naturalized citizens after obtaining driver’s licenses are not required to update DPS on their citizenship status, according to voting rights lawyers. More than 30,000 immigrants in Texas were approved to become naturalized citizens in the first half of 2018. More than 52,000 were approved in 2017. The Texas Tribune reached out Monday to 13 of the 15 counties with the most registered voters. Only Galveston County indicated it would immediately send out letters asking voters for proof of citizenship, even as more than a dozen civil rights groups warned the state and local election officials that they risked violating federal law by scrutinizing the voters flagged by the state.